On a recent family trip, my brother-in-law and his wife were kind enough to make dinner for the whole family (all 16 of us! ): spaghetti, salad, and garlic bread. Jeff and Kirstie put out the serving dishes in the kitchen of our big rental house and called for us to come and eat. Darren’s aunt started making a plate for his grandma. “Where’s the garlic bread?” she said. 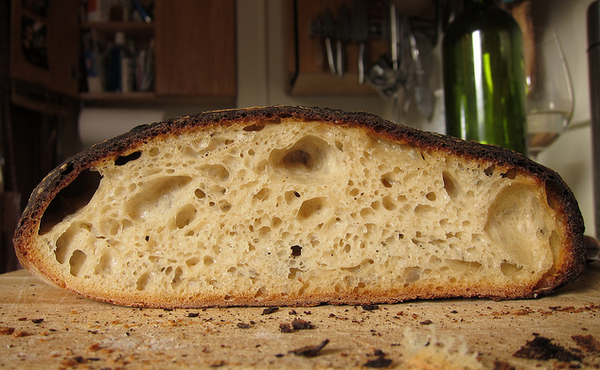 He explained that he’d baked the garlic bread on a tray he’d found in the kitchen that he’d thought was oven-safe. Turns out it wasn’t, and it had melted, saturating the bread with chemicals. The bread tasted awful, so he threw it in the garbage. Jeff recounted these facts without shame or guilt. He wasn’t happy about burning the bread, but he didn’t dwell on it and went on to enjoy the spaghetti and salad with the family. If I’d burned the bread, I wouldn’t have forgiven myself. I’d think, You let the whole family down. You ruined dinner and destroyed a piece of property that didn’t belong to you. You’re such a bad cook. Why can’t you do anything right? I would have apologized profusely and immediately driven to the store to buy more bread — plus a new tray to replace the old one — so I could rectify my mistake. All of this would have delayed dinner, caused more stress, and put me in a dark mood for the rest of the night. And instead of feeling slightly disappointed over not having garlic bread with their meal, the family would have had to deal with my emotional fallout (which would be oh so much worse). I aspire to react to mistakes like Jeff did that evening. The fact that we all went on to have a lovely meal together was evidence that it’s okay not to berate yourself and apologize and generally make a big deal out of an unfortunate situation. We all burn the bread sometimes, and it doesn’t mean we’re terrible, worthless people. We don’t need to be so hard on ourselves (really and truly, we don’t!). Though it’s not as easy for some of us, it’s possible to learn to take missteps in stride, cut our losses, and move on. There’s still spaghetti and salad in front of us and a family to laugh with about the tray of burnt bread, if we can just allow ourselves to enjoy them. 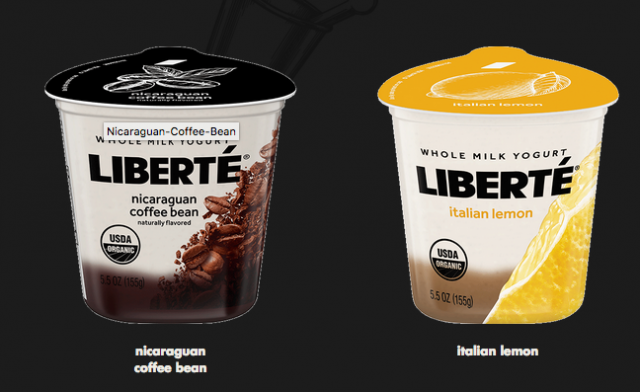 My new mid-morning snack is Liberté whole milk yogurt. With its smooth, creamy texture and flavors like Ecuadorian Mango and Philippine Coconut, it truly makes my day better. Manoush Zomorodi, the host of the excellent podcast Note to Self, and her producer, Jen Poyant, recently left their steady jobs at New York Public Radio to start their own media company, Stable Genius Productions. Their podcast, ZigZag, documents the process of striking out on their own “and trying not to be bad mothers, bankrupt themselves, or destroy their wonderful creative partnership.” Their honest conversations about feeling fear and self-doubt but going after their big dreams anyway inspire me to keep pursuing my own.